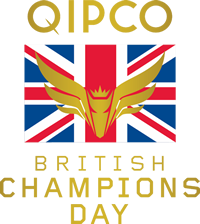 Sheikh Fahad Al Thani, whose family business, QIPCO, is the headline sponsor of British Champions Day, won his first race at the meeting as an owner today with Simple Verse. 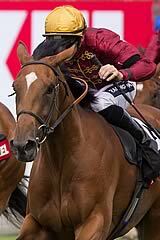 Ridden by Andrea Atzeni in the colours of Qatar Racing, the Ralph Beckett-trained Simple Verse followed up her victory in last month's Ladbrokes St Leger. Today she chased Journey into the home straight and eventually wore her rival down near the line to win going away by three-quarters of a length. Sheikh Fahad said: "This feels like the best day's racing ever, and this race means a lot to us. Having a winner on Champions' Day is wonderful, and we've waited five years. "We felt this could be the best day's racing, and already today we've seen the champion sprinter, the best filly out there and that is proof. With support from owners and trainers it has been made what it is today." Simple Verse was demoted after the Ladbrokes St Leger, then reinstated on appeal, but it meant her owner could not collect the trophy. He said: "Doncaster was Doncaster, and it makes this all the sweeter. She will stay in training and will be in all the top mile and a half races. She might even be a King George filly. I would love to see her in that but I will have to sit down with Ralph and make a plan. "This is a real family affair for me and it is great to collect the trophy from my mother and to be here with all my brothers." Beckett said: "We hoped to sit in behind and it panned out as we hoped. I couldn't be happier. I'm not sure Ascot suits because the straight is too short for her, but once she gets in a scrap . . . and Andrea was clever and brought her wide to avoid the leader. "You can hardly believe this filly's progress. After Salisbury in June I thought Oisin [Murphy] gave her a great ride to beat Polarisation [by a short head], but the time men kept telling me she ran a great time that day and she just kept getting better. She did a great piece of work on Monday and at this time of year you are worried you've left the race on the gallops, but she's won and I'm thrilled for Sheikh Fahad. I'm also thrilled for the team at home who have done a wonderful job."